WPL Membership addon has a feature to set an expiry date for each membership and users so users subscription will expire after a while and their listings will disappear from the active listings. If you want to manually renew a user subscription, you can simply do it from WPL->Users menu. Find the user using the search form and hit the renew icon next to expiry date. After renew, the user's listings will appear on the active listings on frontend of website again. 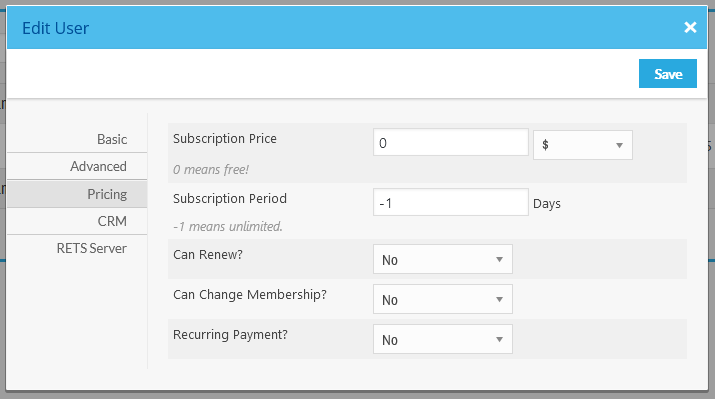 Also you can set the subscription period of users (or memberships) to -1 to set an unlimited subscription for them.